Using the right glue for a project can be a confusing task. Especially when you take a trip down the adhesives aisle at a craft store there are MANY options! How do you know what adhesive to pick for which project, you don't know? Well, here's the ultimate guide to adhesives that will help you make sense out o all the options out there! 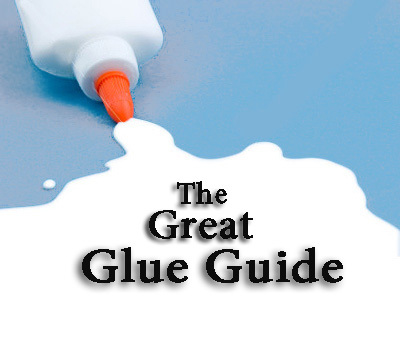 This list is by no means exhaustive, more a brief overview of some of the main glues and adhesive products you might come across. Apart from being an adhesive, with lots of chemicals that we don't need to know here, used to fix or bind things together, it is worth knowing a bit about the different types of glues available and what they are actually made of. You then need to match the glue to the material you are using and take into account the weight and texture as well as the purpose of your project. 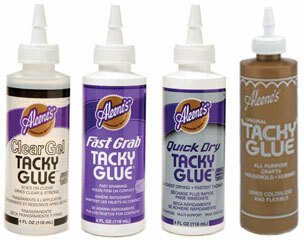 Here are some of the glues we use on our projects. These are probably the most common glues that you come across in paper crafting and they are very useful. Stick glues are water based, made up of water, polymer, thickener and additives and will not stick to non-porous surfaces like plastic.The glue is solid and formed into a stick which you wind up and down like a lipstick. They are easy to use and you can apply the glue reasonably accurately. Glue sticks are ideal for sticking paper and card, which makes them useful for card making and other paper crafts. PVA (Polyvinyl Acetate) often called White Glue is a water based wet glue which dries clear. These glues are very commonly used and come in a variety of strengths. White glues are ideal for where extra strength is required, for children's crafts, for example, junk modelling, making pasta pictures or papier mache. 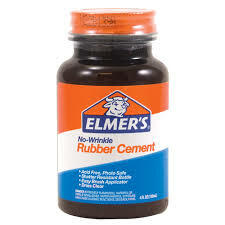 They take a while to dry so you must be patient when using this kind of glue. They can also make your project soggy if you use too much at once and this will end up warping your card. 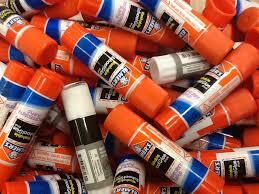 PVA glues are designed to work on porous materials, so like stick glues, they are not used for gluing plastics. You can add glitters or paints to PVA before using to get interesting effects and if you dilute it a little with water, it makes a good varnish on clay models. It can also be used this way to form a base coat for painting. There are many brands of white glue, my favorite is Tacky Glue which is permanent, dry clear and acceptable for general use, paper. All but the clear are also acceptable for use on Styrofoam, wood, ceramics and fabric. Is permanent, dries clear and acceptable for use on paper, Styrofoam, wood, ceramics and fabric. Uses include as a glue, decoupage medium and finishing top coat. There are a wide variety of formulas. My favorite is Mod Podge and Ranger. 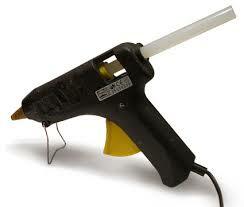 Glue is supplied in the form of glue sticks which you insert into your glue gun. The glue is heated up inside the gun and comes out as a very hot runny substance with rather a stringy quality. You can get hot melt glue guns and lower temperature glue guns which are ideal for gluing things like foam, polystyrene or flower arranging oasis. Glue dots are often found in packaging and provide a quick and secure way of fastening things. Think of freebies on magazines, which are usually stuck on with glue dots. They provide instant adhesion, with no drying time and can be found in different types of adhesive from removable, semi-removable and permanent fixing. They are often used for attaching embellishments where a glue gun would be messy to use and most will adhere to different non-porous surfaces such plastic, glass, metal and vinyl. Glue dots are also useful when sticking ribbons and lacy borders. Glue pens provide a liquid adhesive in a handy pen format. This gives the ability to apply adhesive quite accurately and this can be handy when you are scrapbooking or you want to write in glue and perhaps add glitter to get glitter wording. As they are wet glues, they are best used for paper and card and will not usually be very successful with securing embellishments. The glue will dry clear and depending on the pen, it may be repositionable once dry. 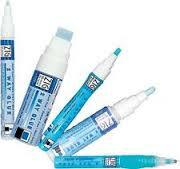 The glue in glue pens is usually solvent free and washable in water, making it ideal for kids to use. There are many different types of spray glues around which will bond a range of different materials. You might find, repositionable, super strength, high tack, general, photo mount, foam sprays etc so you will need to look at each can to choose the right spray for your project. These glues are often found in locked display cabinets because they contain propellants that are toxic and so these glues are not suitable for use with children. They should always be used in well ventilated areas. Spray glues are good for adhering paper to just about anything and the bond is very strong and dries clear. A high tack spray will adhere almost instantly. Spraying inside a cardboard box is a good way of containing the spray, much like you would do if you were spray painting something. Double-sided tape is really useful to have in your crafting toolbox. Because it is not a glue, it is not messy, you are not going to get the warping effect when you use too much and you will get an instant bond. However, this latter feature can work for and against you. I find that I need to move things about to position them on a project as I very rarely get it right first time. Once the papers or cards are stuck down, you really won't be able to move them without tearing and ruining your project. You need to be very sure about the placement of your items. My favorite brand is Score Tape, which comes in various sizes and is very strong. This adhesive is for paper crafting and is common in scrap-booking. While more expensive than traditional glues, it contains no acid and will never yellow with age making it perfect for keepsakes. When applied in thin coats it can be used to laminate images. Dries clear when applied in thin layers. 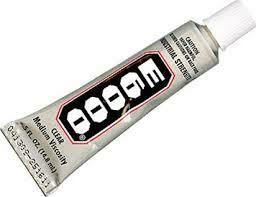 Whenever I say “strong glue” in a DIY I always follow it with e-6000. Industrial strength, it is suggested for general use, wood, ceramics, fabric, metal and natural materials and it dries clear. To use apply a small amount and allow to sit until it becomes tacky. Then press the two items together. If you try to use immediately, your top bit will slide around like crazy. It must be used in a properly ventilated area. I hope you found this guide eye opening and helpful. I'll be happy to answer any questions you might have. 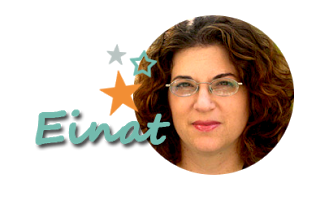 Very interesting post Einat !! Thank you very much for sharing it. I wish you a nice weekend. Big hugs. Caty.